Car issues can make people scratch their heads. If your car heater is suddenly blowing out cold air instead of heat in the middle of a bitterly cold winter, you have a good reason to be frustrated. Unreliable car heaters can make the cold winter months practically unbearable. Your car uses coolant – usually made up of 50% antifreeze and 50% water – to cool your engine down, especially during the hot months of summer. During the winter when you crank up your heat, the coolant is brought over from the engine to the heater core that then blows warm air into your car. It can feel cool for the first few minutes because the engine has to warm up in order for the coolant to heat up and provide heat to your interior. If cool air continues to blow out, the first thing you should check is your coolant level. When your car is low on coolant, it won’t be able to send any to the heater core to create warm air. Car heater problems are also frequently associated with heater core difficulties: coolant may not be traveling through the heater core properly, the air from the blower motor is not reaching it or there’s a clog in the small tubing of the heater core. Heater cores, in a nutshell, are cooling system parts that resemble compact radiators. A heater core is made up of brass or aluminum tubing that carries the hot coolant in and out, along with fans that disperse the heat released by the coolant. A heater core is responsible for a vehicle’s defrosting and heating actions. Heater cores are typically situated directly in the back of dashboards. Sometimes after using the control buttons for several years, they can get gummed up and stop working. 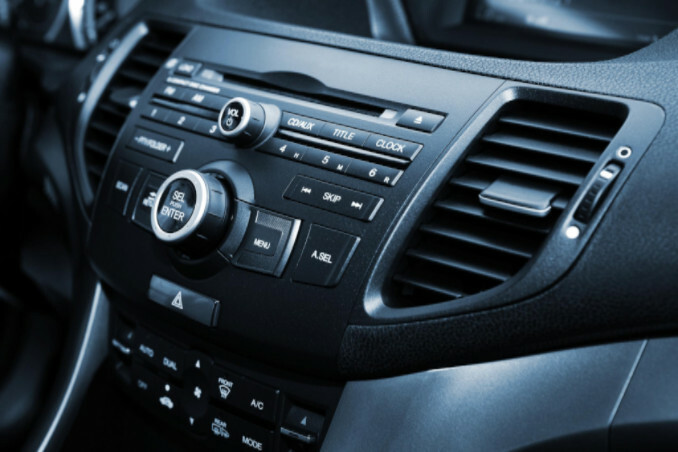 If the coolant levels are fine and there doesn’t seem to be a problem with your heater core, you may need to replace some of the control buttons or your heater control valve. The heater control valve is underneath your hood and acts as the switch that turns the heat on and off. If that piece is not working right, your car could get stuck blowing cool air into the cabin. If you notice that your thermostat gauge stays on the “C” even after the engine has time to heat up, you may have a broken thermostat. If the thermostat can’t signal to the car that the engine is warm, the coolant won’t be sent over to provide heat to your heater core and the air will stay cool. Thermostats are a relatively easy and inexpensive fix, so installing a new one can get your heater working again quickly. The last common problem with car heaters is a water leak. There are many different places leaks can surface, so be sure to check your hoses, radiator and water pump for damage. If any of these three are leaking, your car heater won’t work properly. An effective heating system can make for a much more enjoyable winter. If you notice any of these issues or can’t get heat to blow out of your vents, contact a reputable local auto repair shop to look at your heating system. It’s important to address problems with car heaters as soon as possible. If you ignore the problem, it may cause a bigger and more costly issue down the road. At Bryant Motors, our team of expert ASE-certified auto mechanics are factory-trained and bring you only the best service. Let us be your Sedalia auto repair shop! Call today to schedule an appointment.